Football powerhouse Argentina has expressed willingness to provide training facilities for Bangladeshi footballers to help them become more skillful. 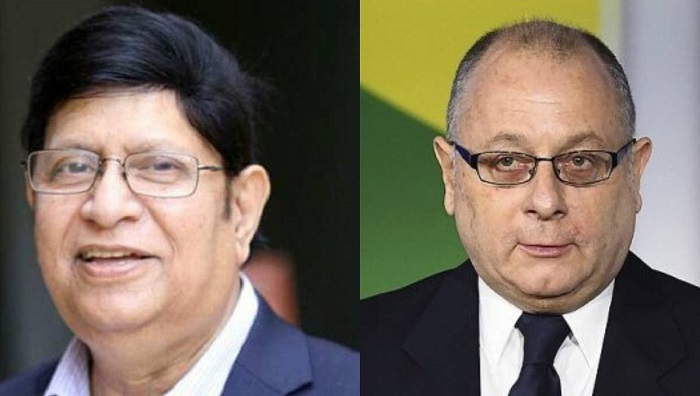 The issue was discussed briefly in a bilateral meeting between Argentine Minister for Foreign Affairs and Worship Jorge Marcelo Faurie and his Bangladesh counterpart Dr AK Abdul Momen in Buenos Aires on Thursday. They met on the sidelines of the BAPA+40, the Second High-level UN Conference on South-South Cooperation, held in Buenos Aires, a press release of the Bangladesh Permanent Mission to the United Nations received in Dhaka on Friday said. Momen and Faurie recalled the contribution of Argentine writer and ‘Friends of Liberation War Honour’ award winner Victoria Ocampo to Bangladesh’s War of Independence. They also discussed the Rohingya issue, with special focus on creating required environment in Myanmar's Rakhine State for voluntary return of Rohingyas to their place of origin. The two ministers underscored the importance of enhancing trade and investment cooperation between the countries. Dr Momen said Bangladesh wants to open an honorary consulate in Argentina and appoint an honorary consul there. The Argentine foreign minister assured him of extending all-out support in this regard.